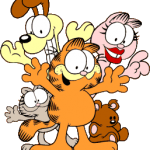 As typical kids my brother and I couldn’t always agree on television shows that we both wanted to watch – but there was one show that we always could both agree on; in fact my Mom and Dad loved watching it with us as well. 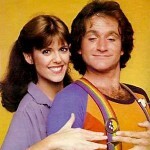 This show had everything…musical acts, big time guest stars, and a romance between a pig and a frog. Of course I’m talking about The Muppet Show. 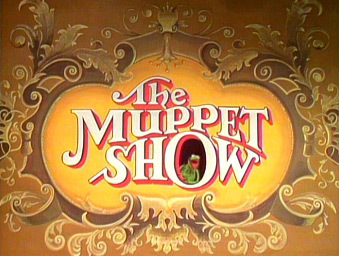 The Muppet Show ran from 1976 – 1981. It was a vaudeville-style musical variety show that featured Jim Henson’s muppets singing, acting and dancing their way through a fast paced half hour of truly smart, funny television. The premise of the show focused around the backstage goings-on at the theatre where our leader Kermit tries desperately to reign in his zany cast of characters all while keeping his “very special guest star” happy. 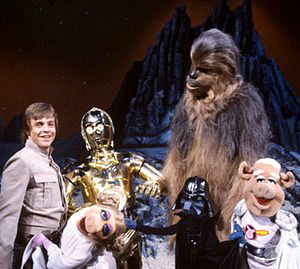 Each week a star from stage or screen would guest star on The Muppet Show – everyone from Christopher Reeve, Diana Ross, Gene Kelly, Paul Simon, Brooke Shields, Debbie Harry and the cast of Star Wars guest hosted during the 80s. Miss Piggy, who longed to be both the star of the show as well as Mrs. Kermit the Frog. 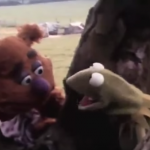 Fozzie Bear, performing his standup routine with his jokes that made you both laugh and groan. Rowlf the Dog, who played the piano like a fiend. Scooter, the poor stage manager who desperately tried to keep some sort of order to the show. I always liked his shiny, satin jacket, very stylish. 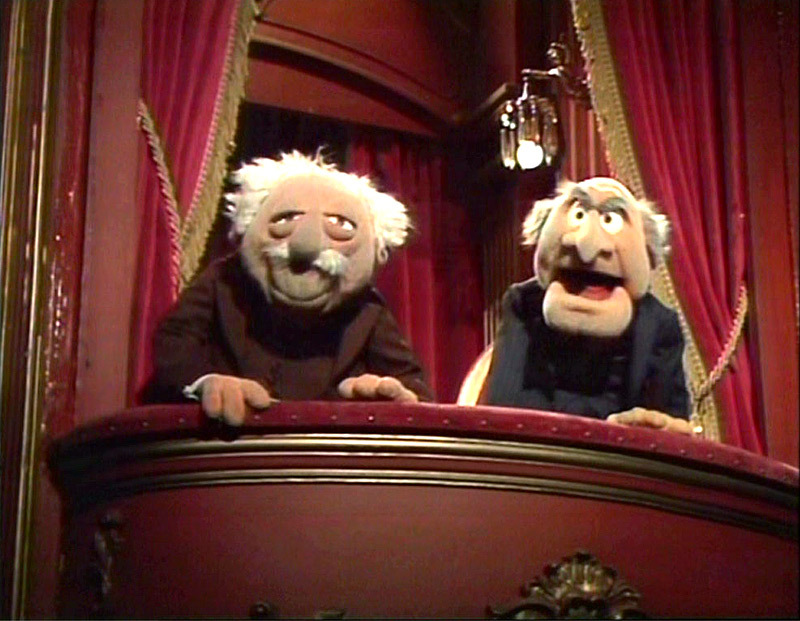 I also loved Statler and Waldorf, the old timers seated in the balcony who endlessly heckled the performers onstage, especially poor Fozzie. I always wondered why they continued to come back week after week if they hated it so much? After the success of the television show the Muppets went on to star in several hit movies including The Muppet Movie, The Great Muppet Caper and my favorite, The Muppets Take Manhattan. The Muppets remain stars today with the 2011 release of The Muppets and the insanely popular Muppets Most Wanted which is currently in theatres – I saw it last weekend and it is of course, hilarious. 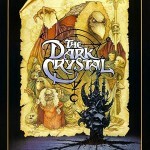 When asked which Muppet I like best, I’ll always go back to my childhood favorite. See, I was a member of The Muppet Fan Club and had an 8×10 signed, black and white glossy photo on the back of my door of my room of this character. 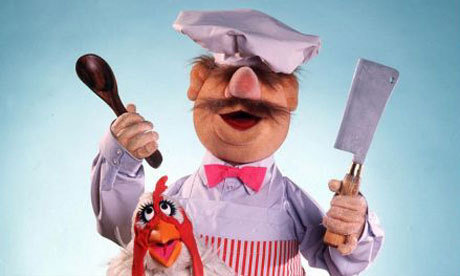 No, not Kermit or Fozzie, not even insane drum-enthusiast Animal…it was…The Swedish Chef. I’m so glad that The Muppets are still around today for my kids to enjoy – we’ve been renting the old television shows on DVD. My younger son has a stuffed Fozzie and Kermit — as soon as they make a plush Swedish Chef I’ll be sure to pick up one of those for me…I mean him…as well.